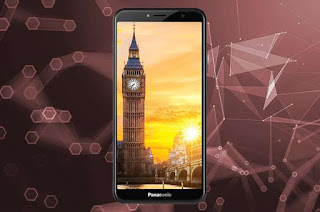 Panasonic finnaly unveiled the Eluga Ray 553 smartphone to india users. The company which is the world's largest electronic manufactural now released a strong smatphone with nice Ram and performance. The Panasonic Eluga Ray 550 comes with 3GB RAM and Dual sim card slot. It is a 5.7 inches display device and it comes with the latest Android 8 Oreo from box. The camera are really nice too as it features 8mp at the front and 13mp back with flash respectively. This is just a brief review, check out the Panasonic's machine.